I've always been of the opinion that when it comes to product mobiles, a wacky paint job just doesn't cut it. 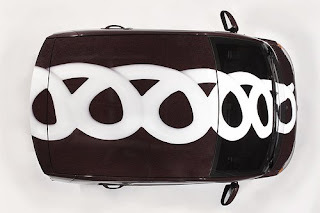 So while my sadly myopic view of promotional vehicles is rife with arbitrary technicalities that prevent me from allowing the Little Debbie Cupcake Car to join the club, the sporty snack cake more than makes up for it with several interesting features. The first? A cross country tour! What? An honest-to-goodness tour?!? It's been so long since anything but the Wienermobile traveled I almost forgot it was an option. The Little Debbie Share-A-Thon will visit 21 cities to promote their new cupcakes. 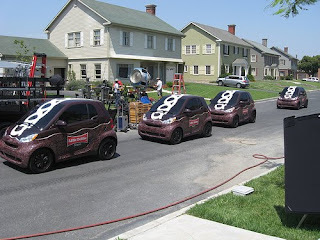 Several of the cupcake-ized Smart Cars will not only be making appearances but the snack cake lovers will also get a chance to win one. Apparently October 18th is "National Cupcake Day" (what are the odds?) 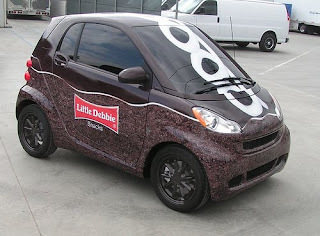 and to celebrate, Little Debbie is giving away 1,000,000 cupcakes, a Cupcake Car and several other prizes. 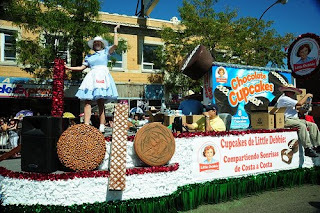 It looks like some parades can expect a visit from the Little Debbie Cupcake Float, which I also don't classify as a Product Mobile but it moves and is cool to look at so it made it onto the blog.